MannKidwell’s natural wood porch shades are woven with American Basswood staves and extra-heavy seine twine. They come in a choice of 40 colors. Rust-resistant hardware and heavy-duty cords insure easy, trouble-free operation. Roller window shades have been our core product since the business was started in Richmond, VA in 1950, and we still fabricate our own roller shades today. MannKidwell offers custom roller window shades in either light filtering or room darkening material. 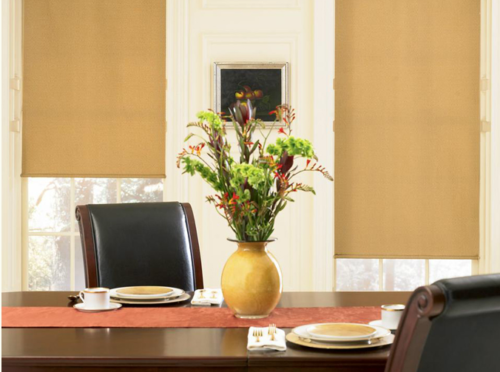 Our roller shades are available in a selection of colors and hem styles. 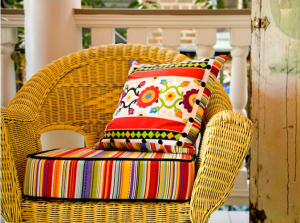 We also offer fabric-laminated shades. Our roller window shades remain a popular choice across Richmond, Midlothian and Glen Allen, Virginia, because they are easy to operate and offer a stylish way to add color and texture to a room in your home. Roller window shades are also extremely affordable and don’t take up much around your window creating the appearance of a larger room. Come visit us today to see these simple, yet elegant window treatments for yourself. Contact us or stop by our showroom.